Awesome weekend to get away and fly to a secluded campground and enjoy the fall weather and hiking! Join us for the Autumn Fly-In at Byrd’s. Enjoy breathtaking fall colors in the Ozarks. All pilots and aircraft welcome. Byrd’s features two grass runways along the wild and scenic Mulberry River. Our 2,500-foot strip is suitable for many single-engine airplanes, while our short runway is dedicated to powered parachutes and trikes. Pilots are encouraged to monitor channel 122.8. Bring gear for non-flying activities too, including ATV trail riding, waterfall hikes, fly fishing, and campfire cookouts. Groups will fly out on sightseeing trips to surrounding landmarks and airports (weather permitting). Snacks, drinks, ice and sandwiches are available at Byrd’s on-site store. Restaurant dining is available at Byrd’s new Riverfront Restaurant. Aviation fuel is available nearby at the Ozark (7M5) and Clarksville (H35) municipal airports. 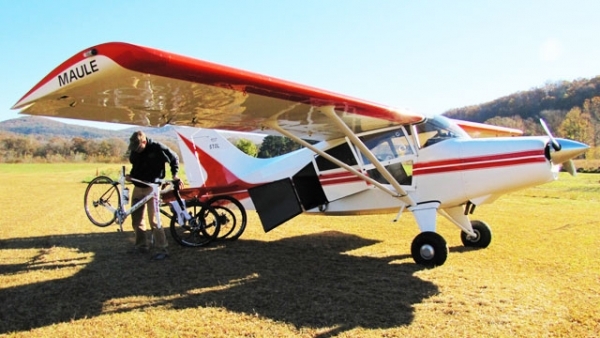 Ethanol-free fuel for Light Sport Aircraft is available locally at Turner Bend and the Oark General Store. Flying at Byrd’s is free! RV camping with hookups are $22 per night. Primitive camping is $10 per person per night with access to our large heated shower house. Cabins are available on site. Call for reservations. Visit our Fly page for airstrip details or call 479-667-4066 for more information.